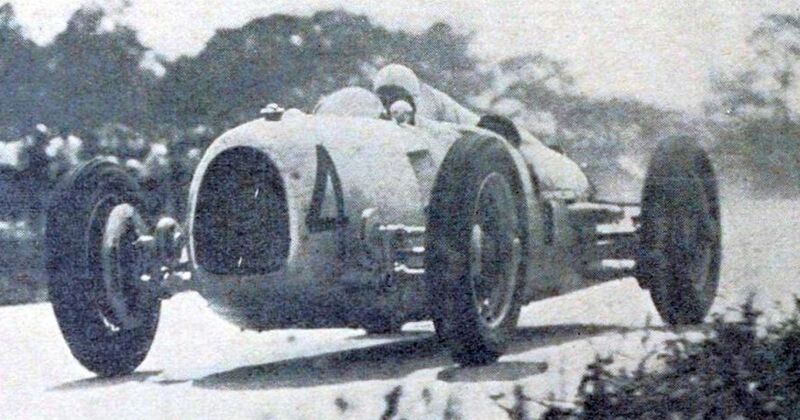 Hans Stuck (born 1900) was one of the most well-known drivers of the pre-Second World War era of grand prix racing, spending several years piloting the brutal mid-engined Auto Unions. Although he was rather successful it was in hillclimbing where he made his name, becoming known as ‘King of the Mountains’. He was also known for taking on a challenge or two - he once beat a friend in a race while driving backwards, and also won a bet which saw him ‘win’ the girlfriend of an eccentric Count. Like many pre-war racers, Stuck also dabbled in F1 when the world championship was formed, starting three races across 1952 and 1953 with a best finish of 14th. He finally retired from racing at the age of 63, with well over 400 victories across his varied career. Jean-Christophe Boullion (born 1969) drove most of the 1995 season for Sauber as a replacement for Karl Wendlinger, a fifth place in the German GP his best result. Those 11 races would prove to be his only F1 starts, however, and he spent most of the late 1990s as a test driver for the likes of Williams, Jordan, and Tyrrell. Jerome d’Ambrosio (born 1985) spent a single season with Virgin in 2011 before becoming the reserve driver for Lotus in 2012. When Romain Grosjean’s crashy antics in Belgium earned him a race ban d’Ambrosio found himself in the car for the Italian GP. He finished a distant 13th (his best result) in what would be his last grand prix.